is made from scratch using only quality, all natural body soaps ingredients that include olive oil, palm kernel oil (sustainable), (Organic) coconut oil, avocado oil , sweet almond oil, and lavender also a host of other extracts as natural preservative. You'll notice the naturally occurring glycerin in our handmade body soap, but we go even further by adding Brazilian sweet almond oil for rich, nourishing moisture . Our soap is scented naturally with only luxurious essential oils or absolutes extracted from natural plant sources for skin healing benefits; we also add herbs,butters, spices and natural botanicals for exfoliating texture and natural coloring. Each bar of Natural soap Body and Bath Soap is hand-cut and hand packed. Our handmade soap body soaps is truly 100% natural from start to finish. You can feel the difference! 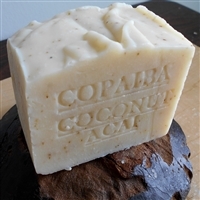 Treat yourself to a bar and experience how good natural soap can be to your skin. Beautifully simple. We recommend these body soaps for normal to sensitive and normal skin type.. Whether you're Google for the perfect gift or to treat yourself, shop Hand Soaps Bath & Body Natural Handcrafted soap to find exactly what you're looking for! 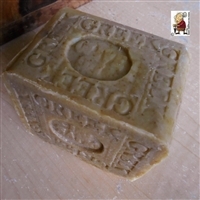 Bath and Body all Natural Soap Cleanse, moisturize and soothe your skin with all natural handmade soap made with organic oils and plant butters, pure essential oils, organic herbs, and spices.